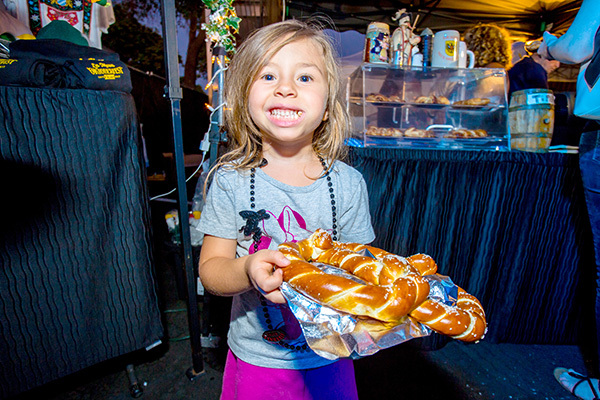 Now in its 45th year, La Mesa Oktoberfest once again returns to the downtown Village with a Bavarian celebration complete with lederhosen, chicken dances, polka music, German cuisine and, of course, beer. 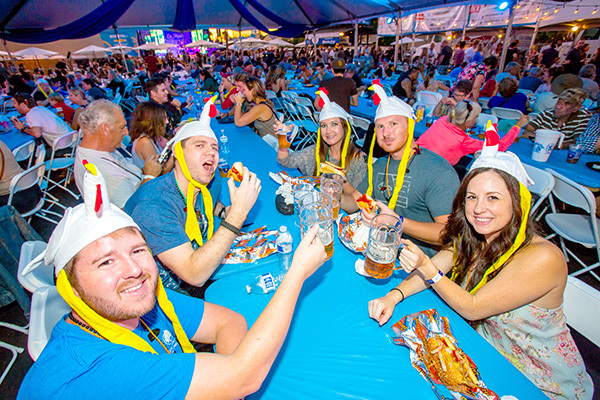 Oktoberfest, sponsored by Bob Stall Chevrolet, will also feature two stages of nonstop music featuring everything from traditional Bavarian and German music, live oompah bands, traditional rock bands, DJs, tribute groups and more. 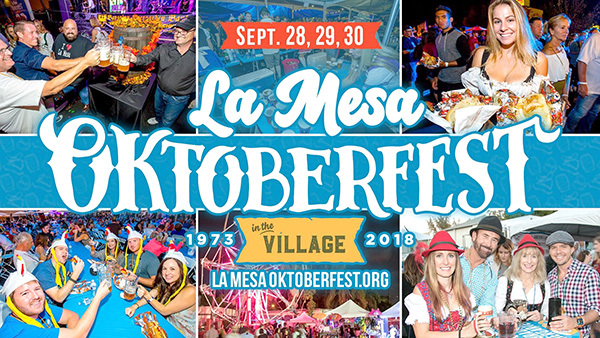 La Mesa Oktoberfest is a free event and is expected to bring more than 100,000 people from across Southern California for what has become San Diego’s largest Oktoberfest event. 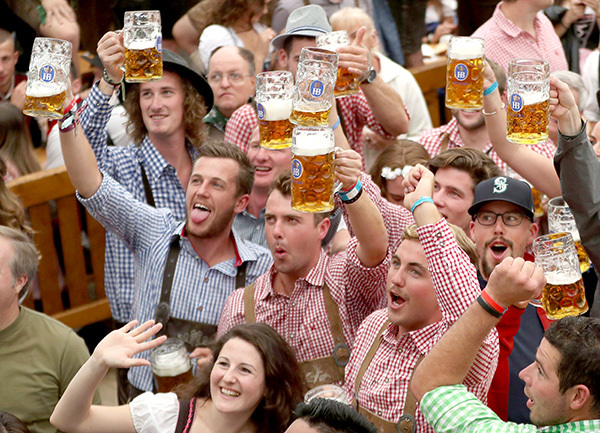 This year’s event is held Sept. 28–30, which follows the traditional celebrations in Munich that kick off in mid-September. 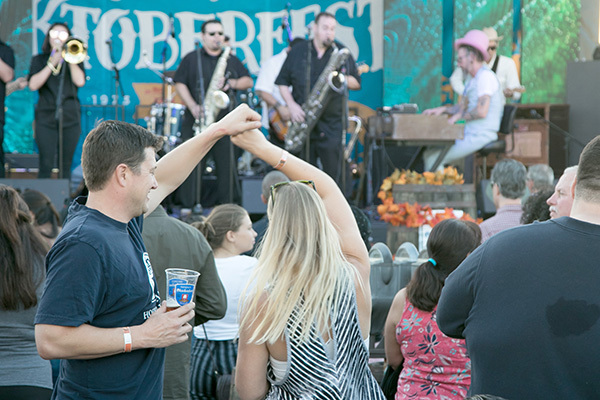 For visitors interested in traditional German music, both local and regional polka bands will be performing throughout the weekend, including Snake Oil Oompah Band, The Bavarian Beer Garden Band and Polka Party Band. The music stages will also feature local bands The Smokin Cobras, Slower, and Rising Star. Country music fans will enjoy sets by Rio Peligroso and rock fans will be entertained by cover and tribute acts such as i90, Lies ‘n Roses, Gypsy, Way Cool Jr. and Electric Light Overture. Beer lovers will be served at two locations this year. 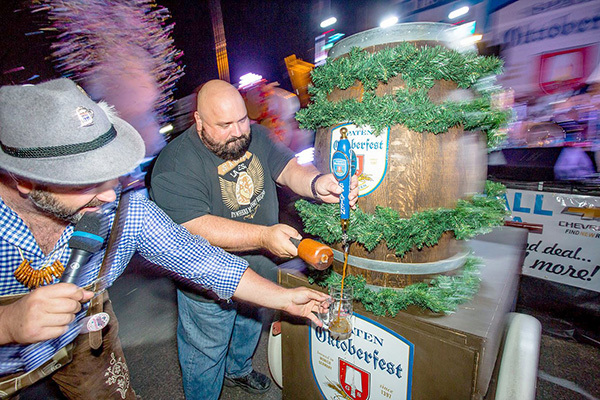 The Hofbrauhaus Biergarten will be serving pints of traditional German beer and the Oktoberfest Craft Beer & Spirits Garten will be serving craft beers from Karl Strauss, Green Flash, Stone Brewing Co. and Modern Times Beer, as well as cocktails. 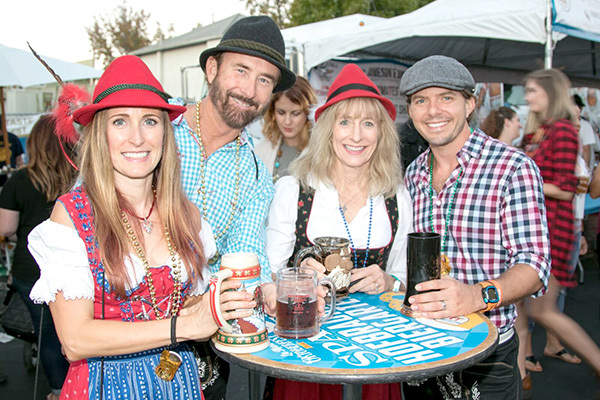 La Mesa Oktoberfest is offering a way to save on steins with its Hofbrauhaus Biergarten Passes. 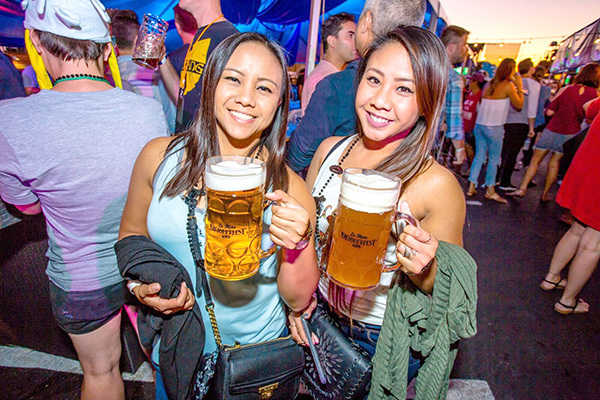 Prices range $5 to $45 and depending on what level of pass, can include VIP entry and restrooms, front-of-line privileges, two complimentary beers, a commemorative stein, a chicken hat or flower crown, German beverages, juicy bratwurst, snitzel, a huge pretzel and more. New to this year’s event is Bo-beau’s Beer Brunch — an Oktoberfest twist on Sunday Brunch held on Sept. 30. For $39.95 per person, festivalgoers can feast on four courses of delicious offerings while exploring four different flavors of Modern Times beer that come paired with each course. 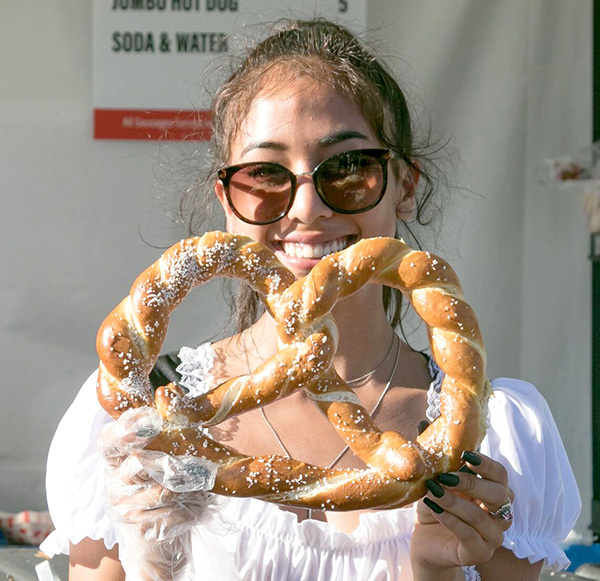 In addition to music, beer and food offerings, La Mesa Oktoberfest is a chance for visitors to find authentic homemade treasures and explore authentic art and German-style craft pieces from over 30 local artisans in the Craft Faire tent. 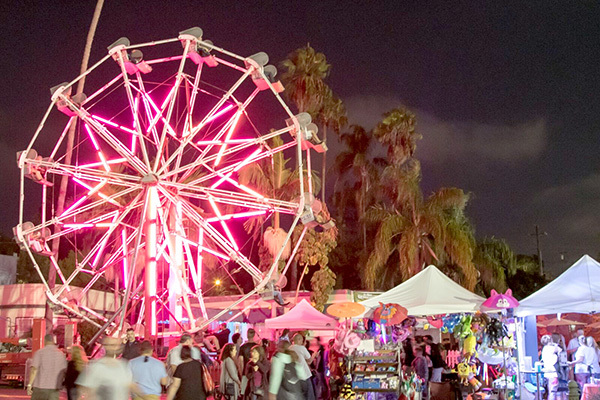 Back again this year are family-friendly activities at the German Kinder Karneval, featuring a towering Ferris wheel, rock-climbing wall, massive inflatable slides, interactive art, brat-eating competitions, scavenger hunts and more. Other fun activities like wiener dog races and howl-deling contests will be held in the Dackeldorf Dachshund Village. For a complete list of all the free German fun and to purchase VIP passes, visit LaMesaOktoberfest.org.